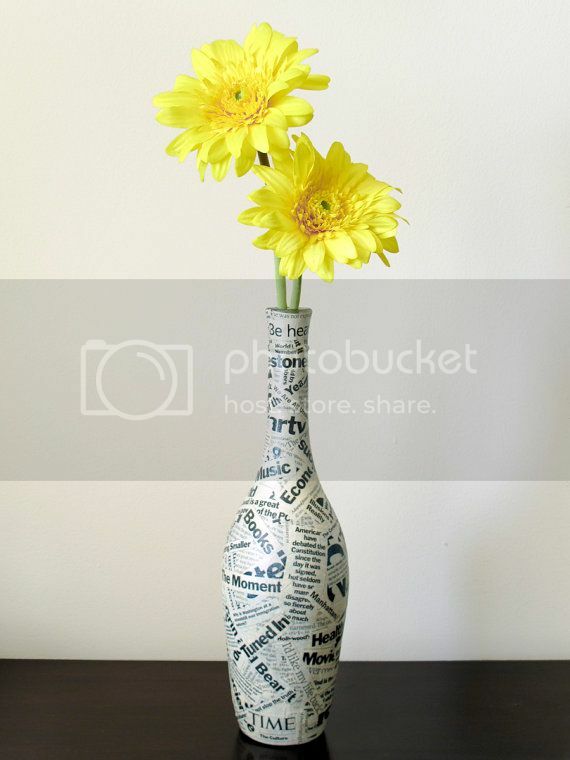 If you have been inspired by our previous DIY project and created a geeky dictionary lamp, you will find this vase simply awesome. It looks awesome and will complement any geeky interior perfectly! It's amazing how creative some people may get. Imagine you have an old non-working light bulb. Most of us will simply throw it away. Some of us will probably recycle it. And only very few the best of us will turn it into something useful and amazing. We have covered some awesome light bulb gadgets previously. Let's list them as well a few new ones here. 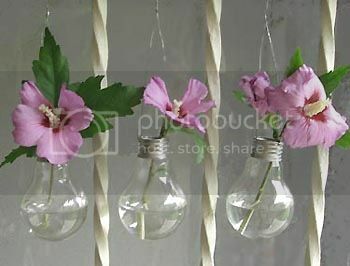 It's an awesome idea to turn a broken non-working light bulb into an awesome chandelier. It's like giving them the light bulbs the second chance or the second life! 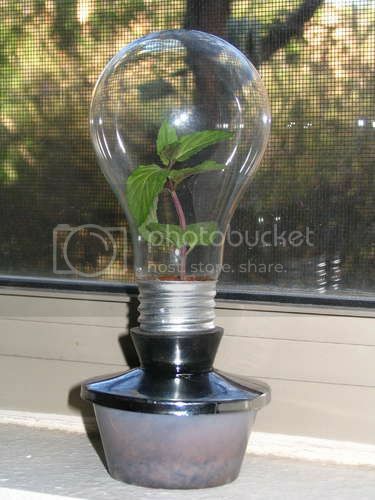 For those who love green houses and indoor gardening, here's a great idea to diversify your routine: cute little mini-greenhouses inside a light bulb! 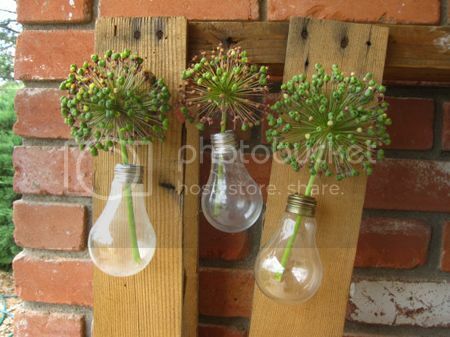 These would make a great decoration for your garden or yard! 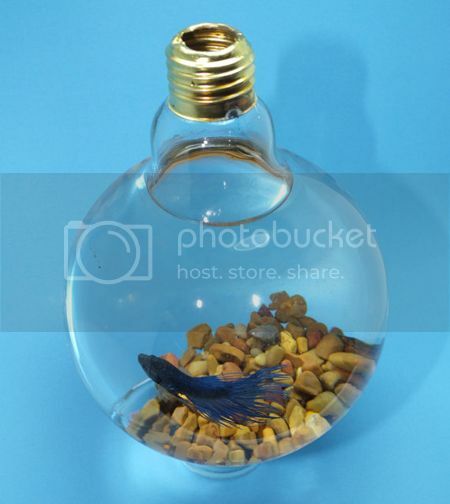 You will need really tiny fish for it bit all in all this would make an amazing gift idea! Another cool gift idea, especially for a girl! That's just the cutest thing I have seen in my life. 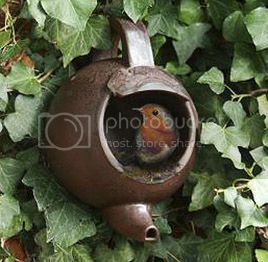 The teapot looks somewhat vintage but I am sure there are plenty of various combinations how this may look. Running to the attic now to find something cool to build a bird house now! There are lots of things you can make yourself (or grow yourself) instead of buying and spending excessive amounts of money on them. Often, the things we can make ourselves end up working better than the mass produced version anyway! So here is a great list of how you start making your own things and saving those pennies too. Do you buy fresh herbs every time you head off to the supermarket? If so, you could be wasting lots of money! It costs barely anything to purchase some little seeds and start growing your own – and you’ll save ever so much from buying them at a premium in the supermarket. There’s something really satisfying about eating something you’ve grown too! Every birthday and Christmas we receive lots of cards from loved ones and friends – but they only end up getting thrown away once the celebration or holiday is over. 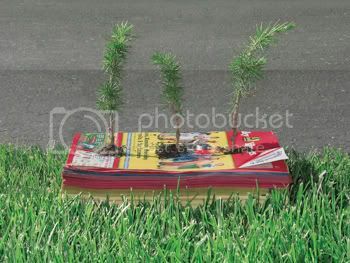 Instead of throwing them away though, we can easily recycle them into new "home-made" greeting cards for others. There are plenty of online tutorials on how to do this, and you’ll save such a lot of money in the long run. All you need to do is purchase some glue, a few nice pens (which you probably already have!) and perhaps a roll of pretty ribbon. In the winter we always get pretty cold hands – and most us forget to take our gloves out with us! 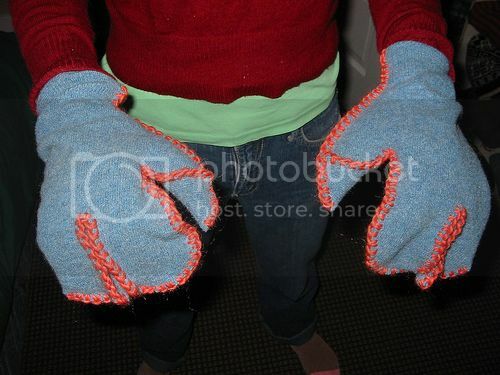 But did you know you can easily recycle an old jumper or sweater into some cute mittens? Here’s a great little tutorial about this, so you can do the same! And each old, forgotten jumper can make around three pairs of mittens! Often, our household cupboards are full of cleaning brands and bottles of things – that we rarely use. With the average cleaning liquid costing around £2.99, this can really quickly add up and bust anyone budget! But, did you know that you can easily make your own using simple ingredients found around the house? This article provides a great list of recipes for creating your own cleaning solutions. If you take a look at this list you will notice that they barely take any time or effort to create, and can save you lots of money in the long-run! There are many other things you can consider too, such as growing your own fruit and vegetables (although you’ll need a garden for this). Think about recycling clothes in other ways too, there are some great ideas for this online – all it takes is some quick research to learn some new, interesting ideas. If you have children, you could even look into making their toys yourself. My Mum made me ragdolls when I was young our of old school dresses and clothes. Each doll was new surprise and I loved them even more because she’d made them for me especially. If you have a dab-hand at sewing, then this is a great idea! This do-it-yourself post comes from the creators of forex trading platforms, IronFX.com. Don't you hate it when a pair of your favorite sandals goes out of style the moment you take it home? I can't tell you how many times I have fallen prey to a fashion trend that quickly died out, and quite frankly, I'm tired of it. In an effort to save money and get the most out of my footwear investments, I have found some ways to repurpose last season's sandals. Now I can really enjoy those funky flip flops I begged my husband to buy me, even if no one else in the world wants to wear them. You could just give your sandals a facelift to make them look new again. 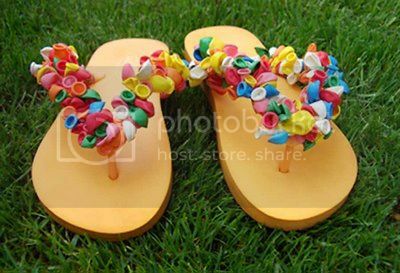 Add rhinestones, strings of beads, hemp, fabric ties, or whatever else you want to the shoes. You could also use fabric paint to change them to a different color, or you could replace the straps with a new material. Make the sandals a perfect fit for your wardrobe, and you will know for a fact that they are one-of-a-kind. 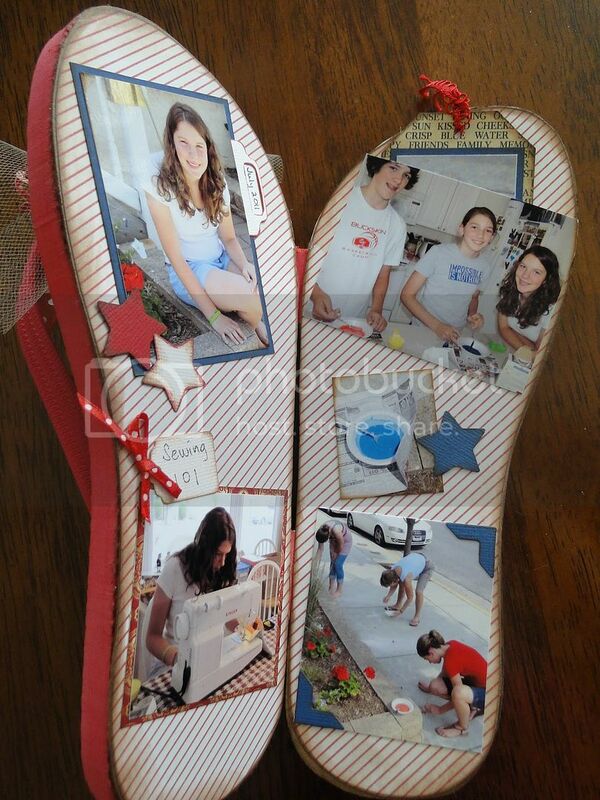 Why not make your shoes into cute displays for photos in your home? This will only work for sandals with a relatively flat soles and minimal straps. 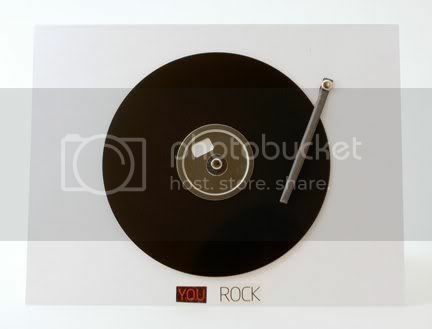 You can us a box knife to cut out a rectangle to fit a picture in, and then you can set the picture in the shoe with a little piece of glass on top. You could get this glass from another picture frame, or you could use clear plastic instead. 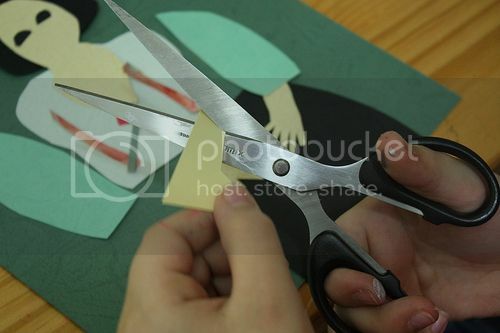 Most craft stores will sell thin sheets of Plexiglas that you can cut with scissors or a box knife. That will make the perfect cover. If the edges around the photo look a little jagged, glue on some rope or part of the straps. Then just add a triangular piece of matting or cardboard to the back for support, and you can put this super chic frame on any table in your home. You could easily turn your sandals into hooks for hanging things. Just get a piece of wood to secure the shoes to, and then use screws or glue to put them toe-down on the board. Then you can buy some decorative clothes hangers and put one in the toe of each shoe. You could also buy a hook to secure in the toe, but that kind of defeats the purpose of the shoe in general. Try to incorporate the footwear as much as you can. Add a wire to the back so you can hang this on the wall, and you should be good to go. Something like this may even be good enough to win you a scholarship if you play your cards right. At first glance, a pair of shoes on a table may seem out of place. If you clean them up nicely though, they can look like actual coasters for your drinks. 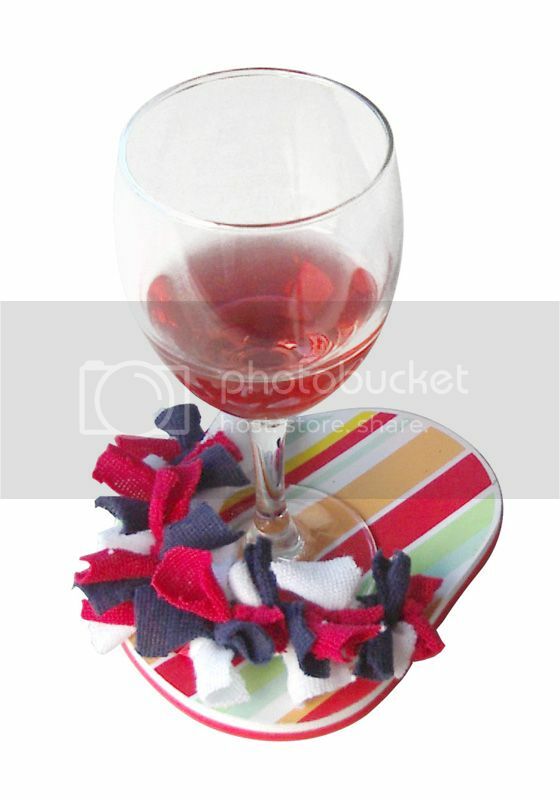 Glue a circular piece of cork board to the inside of the shoe, and you will be able to use your sandals just like you would any other coasters. Who knows – you may start a trend for the neighborhood! There are plenty of ways to repurpose last season's sandals if you just think outside the shoebox. Figure out a way to really let these shoes shine, and you will not have to worry about throwing away perfectly good shoes. About the Author: Lisa Winehart is an active fashionista who is currently going to college on a left-handed scholarship. She uses her innovative creativity to propel her career and her hobbies at the same time.